Chitwa Chitwa is a 5 Star Private Game Lodge at 4 Star Prices and has been in the Brink family for over 40 years with Charl and Maria Brink remaining very present and dedicated to the lodge. It has the most unique setting of the Sabi Sand on the largest perennial lake. Luxury, privacy and warmth are all integral pleasures of the remarkable experience that is Chitwa Chitwa. 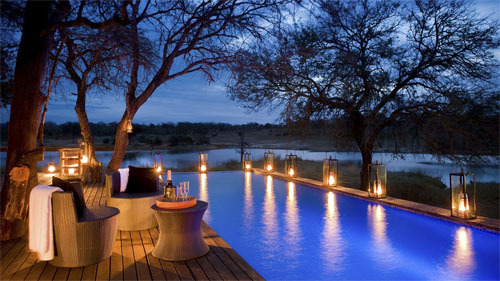 Chitwa Chitwa is located in one of the prime game viewing locations in Southern Africa. The Big 5 are regularly seen; often on one game drive. The stylish, spacious, individually decorated suites remain very private and ideal for honeymooners and couples. Whilst catering for the most discerning traveller, Chitwa remains homely, a place where you can be who you are. Each suite opens onto a private lake-view deck with plunge pool.